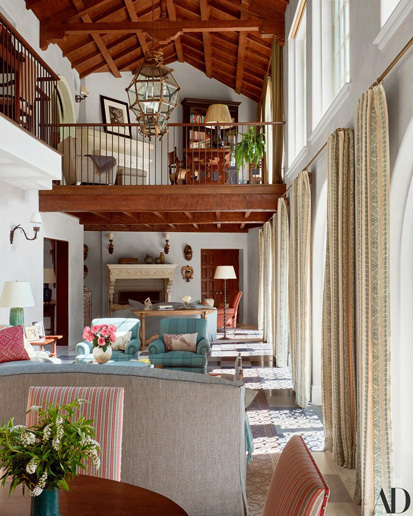 Being a part of a project worthy of an Architectural Digest story is what most designers dream of –but when the project lands the cover and it’s Shonda Rhimes’ home … Well, there are no words, just gratitude. 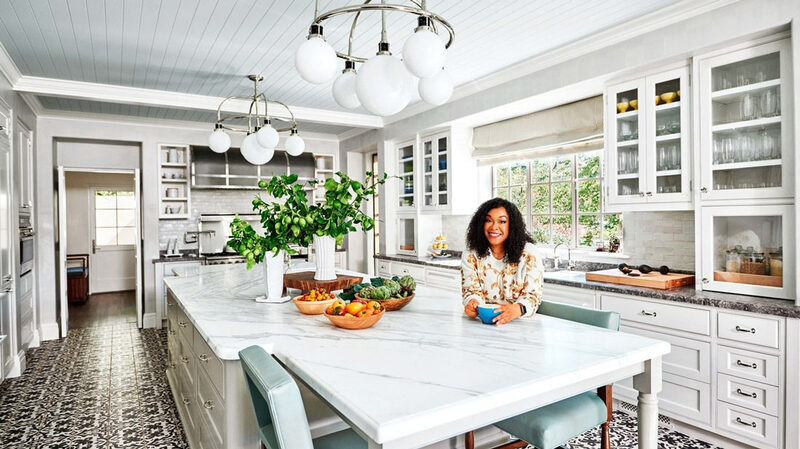 Hollywood royalty Shonda Rhimes takes AD readers into her Los Angeles home, showcasing the incredible transformation we helped create with her and Michael Smith. Written by Shonda herself, she explains the intricate process of remodeling her 8,400-square-foot home. “My first thought was that it was ugly. And wrong. The house was ugly and wrong,” she writes. She goes on to explain that like any good storyteller, she felt a need to take on this home’s story and finish writing its happy ending. Shonda’s candor presents an honest look at the realities of an extensive home remodeling project compared to home improvement shows. “Renovating a house in real life is not like it is on TV. On TV, the home renovation takes place during a clever 30-second montage while a Stevie Wonder song plays. The actor playing TV Shonda holds up swatches and nods, peers at tiles and nods, uses a sledgehammer on a wall and smiles . . . and never loses patience or the will to live,” she writes. “That is not how a renovation works. This was no 30-second montage.” Steve McLaughlin, HartmanBaldwin’s on-site Project Manager, can attest to that. This project was long and complex with hundreds of trades and schedules that required an experienced construction foreman to coordinate and manage the day to day operations of the site. In the end, however, she was right. “This house tells a good story… Life will happen here. Laughter will happen here. Love will live here,” she tells readers, “Weaving our way into the story of this house has been the trip of a lifetime. This formerly wrong and ugly house and I, we are family now. We are home.” We thank Shonda Rhimes for trusting in us to partner with her on this home’s amazing transformation. 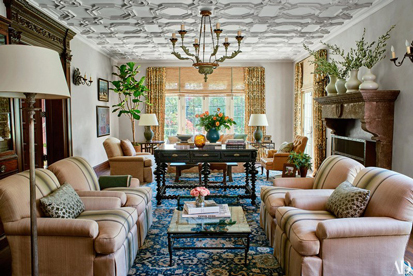 Read her beautiful write up in February’s Architectural Digest issue.